LEXINGTON, Va.: Stephanie Wilkinson was at home Friday evening - nearly 200 miles from the White House - when the choice presented itself. It seemed unlikely to her that President Donald Trump's press secretary should be dining at a 26-seat restaurant in rural Virginia. But then, it was unlikely that her entire staff would have misidentified Sanders, who had arrived last to a table of eight booked under her husband's name. 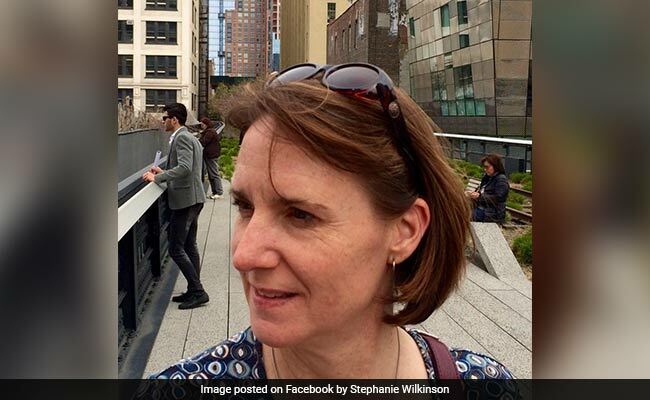 Stephanie Wilkinson is owner of The Red Hen who asked Sarah Huckabee Sanders to leave. "They had cheese boards in front of them," Wilkinson said. Like any other family. The kitchen was already preparing the party's main course. Wilkinson interrupted to huddle with her workers. Several Red Hen employees are gay, she said. They knew Sanders had defended Trump's desire to bar transgender people from the military. This month, they had all watched her evade questions and defend a Trump policy that caused migrant children to be separated from their parents. "Tell me what you want me to do. I can ask her to leave," Wilkinson told her staff, she said. "They said 'yes.' "
Wilkinson didn't know how Sanders would react, or whether Trump's chief spokeswoman had been called out in a restaurant before - as the president's homeland security secretary had been days earlier. Sanders' response was immediate, Wilkinson said: " 'That's fine. I'll go.' "
Sanders went back to the table, picked up her things and walked out. The others at her table had been welcome to stay, Wilkinson said. But they didn't, so the servers cleared away the cheese plates and glasses. If you've ever heard the term "to 86 someone," it comes from the restaurant industry - code to refuse service, or alternatively to take an item off the menu. One of the servers photographed the whiteboard before going home Friday. He had posted it to his public Facebook wall by the time Wilkinson woke up Saturday. For all the angst that evening, Wilkinson said, everything had taken place with decorum. She had been polite; Sanders had been polite; the press secretary's family had been polite as they followed her out the door. 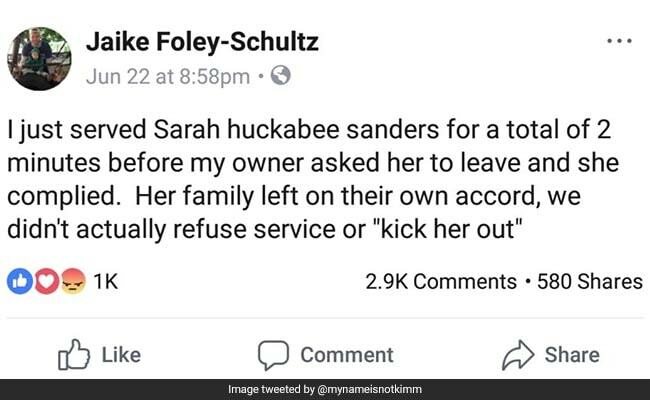 Not so much the rest of the world, as it discovered Red Hen waiter Jaike Foley-Schultz's Facebook post: "I just served Sarah huckabee sanders for a total of 2 minutes before my owner asked her to leave." Jaike Foley-Schultz, a waiter at the Red Hen said the White House Press Secretary lasted just 2 minutes in the restaurant.